I had the opportunity to leave my husband, who has mild-moderate Alzheimer's, at this facility for a week while I attended a business conference in Florida and then spent a few days of vacation on the beach with my brother. It was the first time I had left Bill overnight at a facility--other times he's been left briefly with friends. I was nervous, especially since I was going to be so far away. I shouldn't have been. I can't think of any place I'd want to leave my loved one--or go myself--than Silverado Valley Ranch. I assume their other facilities are just as wonderful. When we went for a visit, Bill immediately said "this place looks like the Waldorf Astoria." While we waited for Tony to arrive and give us a tour, someone showed us how to make coffee and chatted us up--it was a resident. I felt like we were on a cruise ship. Nobody--NOBODY--was in their room. Everybody was engaged in activities, either planned or on their own. The facility divides up the higher-functioning, more independent folks on one wing and those needing more one-to-one care on another, but neither had the feel of a nursing home. Friendly pets, a kitchen stocked with healthy and fun snacks, cozy corners for private visits with family or to curl up with a book--I was ready to move in! They have a lovely playground for grandchildren, and I understand a neighborhood school also brings children there to play and interact with residents. There's a patio with a grill for cookouts, and an enclosed courtyard. The two dogs, two cats, caged birds and rabbit are all rescued animals, and are sweet and friendly. The day is packed with physical and cognitive activities, but nobody is required to do anything they don't want to do. I didn't see anybody resisting--the residents were friendly and engaged. They also have field trips and sometimes take sunset drives. It was more like a resort than a memory care center or nursing home. Even the drug cart looked more like a nice cocktail bar on wheels than a medicine cart. When I dropped him off on the way to the airport my friend and I were invited to stay for breakfast (it was delicious) while the nursing staff and others came to greet us and make sure everything was in order. You can tell these folks genuinely love their jobs. Everybody--from housekeeping staff to upper management--met us with warm, genuine smiles--and I could tell they know every resident's name. As we were leaving to go to the airport, Bill played the piano in the lobby. Several friends visited him while I was gone, and Tony kept me up to date with texts and pictures of Bill's art projects and a short video of him dancing during a social hour. All our friends raved about what a wonderful place it is. Bill was only there for a week of respite care, but he was treated like a long-term resident, and made friends there. When I called he was happy and actually anxious to return to what he was doing, rather than talk to me! I plan to try to keep him involved or take him for visits now and then, and am looking into their day program, since he is not ready for permanent placement. However, if he was, and it fit my budget, I wouldn't hesitate to place him here again, whether for a short respite or long-term stay. Look up the corporate website and read about their scientifically-based Nexus program and watch the documentaries about the residents. Few places live up to their marketing materials---Silverado does. I see so many people going into memory care facilities that are glorified warehouses for the old and sick. People with Alzheimer's and other dementias are still alive, even if they can't communicate like they used to. The activities and caring staff at Silverado allow them to LIVE, encourage them to pursue their interests, and care for them with the dignity all people deserve. Silverado Valley Ranch is amazing, and as much fun as I had on vacation, I'm a little jealous my husband got to stay there while I was gone. I wish I could give it more than 5 stars. Silverado Valley Ranch is a wonderful well maintained community that has a focus on memory care. The staff is professional and extremely knowledgeable in regards to memory care and the individualized needs of residents. This community allows the residents to be independent and experience a homelike environment. The activities are stimulating and highly appropriate for memory loss. The menu is varied and the staff are supportive with meals, activities and overall care. 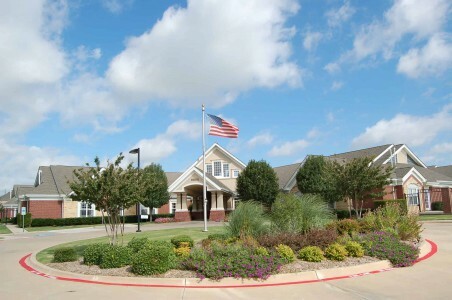 Silverado Senior Living-Valley Ranch offers some of the best quality for senior Memory Care. They definitely exceed providing the quality care needed for those who are challanged with memory care issues. The best way to get to know a community is by scheduling a tour. See the facilities, meet the staff and residents, and get a feel first hand what it's like to live at Silverado Valley Ranch Memory Care. Recognized as a Dallas Top Workplace in 2012 by the Dallas Morning News, Silverado Valley Ranch is a retirement community that makes everyone who steps through our doors feel like family. Our central location in Irving is close to parks, hospitals, freeways and the Dallas-Fort Worth International Airport. Our outdoor areas are fully secured so that residents may freely and safely explore our walking paths, gazebo and children's playground without worry. Our beautifully landscaped grounds are frequently used for BBQs, gardening or exercising our beloved community pets. Meals are an integral part of life at Silverado Valley Ranch, with breakfast, lunch and dinner served daily in our community dining room. Our Master Chef prepares all dishes in our very own kitchen using fresh ingredients. Visiting guests are always welcome to break bread with us, free of charge, either in our community dining room or private dining area. As part of our dedication to hiring and retaining quality staff, we allow team members to bring their children to work with them. Children's laughter is a common sound at Silverado Valley Ranch, and we've found that the presence of children has had a positive impact on the lives of our elderly residents and their caregivers. We also believe that family support is critical to providing the best memory care, and we offer a variety of family-oriented services. From monthly support groups to respite care to a full-time Social Worker available on-site, we are here to help you and your elderly loved ones through this challenging period. At Silverado Valley Ranch, your satisfaction is important to us. We pledge to refund all fees within the first 60 days of move in and help you find a new home should you be unhappy with life at our community.